It is well-known that this world is all emptiness, that every amusement is worthless, and woe is anyone who pursues vanity, which is worthless. And don't envy the rich, for "riches are hoarded by their owner to his misfortune" (Koheles 5:12); "As he had come from his mother's womb, naked will he return...exactly as he came he must depart, and what did he gain by toiling for the wind?" (ib. 14, 15); "Even if he should live a thousand years twice over, but find no contentment - do not all go to the same place?" (Ib. 6:6); "Even if man lives many years, let him rejoice in all of them, but let him remember that the days of darkness will be many. All that comes is futility" (ib. 11:8); "And of joy, what does it accomplish?" (ib. 2:2). Tomorrow you will cry for having laughed today. Do not lust after imaginary honor, for it is worthless,and time is a traitor: it is like scales, which lift the light and lower the weighty. The world is like one who drinks salty water: he thinks it quenches his thirst, but it only makes him thirstier. No one leaves the world with even half his cravings fulfilled (Koheles Rabbah 1). "What profit does one have from all his toils under the sun" (Koheles 1:3)? Remember our predecessors, all of whose love, desire and joy have ceased to exist (see Koheles 9:6), but who are being judged severely for them. And of what benefit is gratification to man - whose end is dust, maggots and worms, as he is bound to die - when all his enjoyments turn to bitterness in the grave? And what is this world, whose days are full of anguish and pain which prevent one from sleeping? Neither is death a mikveh. Man will be judged for everything he says; even the slightest expression is not overlooked. Therefore I exhort you to train yourself to sit as much as possible, because the sin of the tongue is the most severe, as our Sages said (Tosefta Pe'ah 1): "These are the things...and lashon hara is equivalent to them all." I don't have to elaborate on this most serious sin of all. "All man's toil is for his mouth" (Koheles 6:7). Our Sages said that all man's mitzvos and teachings are not enough to counterbalance what comes out of his mouth. "What should be a man's pursuit in this world? He should be silent" (Chullin 89a). One must seal his lips as tight as two millstones. Idle words are like powerful weapons which can reach from one end of the world to the other. Now this is true concerning mere excessive speech. Where forbidden speech is concerned - e.g. lashon hara, mocking, swearing, vowing, fighting and cursing - especially in the synagogue, and on Shabbos and Yom Tov - for every utterance of this type it is impossible to imagine the pain and suffering one will receive (Zohar)! No word is lost; everything is recorded. Winged beings attach themselves to everyone, recording all they say. "For a bird of the skies may carry the sound, and some winged creature may tell the matter" (Koheles 10:20). "Let not your mouth cause your flesh to sin, and do not tell the messenger that it was an error. Why should G-d be angered by your speech and destroy the work of your hands?" (ib. 5:5). Purchase all your needs through a messenger, even if this would cost two or three times as much. "Is there a limit to what G-d can provide?" (Bamidbar 11:23). Hashem feeds all creatures, from the greatest to the smallest (see A.Z. 3), and provides all their needs. And on Shabbos and Yom Tov do not speak at all about things that are not urgent, and be brief even with what is important, for the Shabbos is very holy and our Sages barely permitted the exchange of greetings on it (Yerushalmi Shabbos, and Tosfos Shab. 113). See how strict they were concerning even a single expression! Continue to give great honor to the Shabbos as when I was there. Do not cut back [on your Shabbos] expenses, since "Man's entire sustenance [for the year is fixed for him from Rosh Hashana to Yom Kippur,] except [the expenditure for Sabbaths and Festivals,] etc." (Beitzah 16a). I also implore and plead with you to guide your daughters very carefully to refrain from cursing, swearing, lying and fighting. Rather, everything they do should be done peacefully, with love, affection and gentleness. I have left behind several Yiddish books on Mussar (morality). See that [the children] read them constantly, especially on the Holy Shabbos, when Mussar is the only thing they should read. Always instruct them according to Mussar books. Don't hold back from hitting them when they curse, swear or lie. Don't be lenient with them, because parents will be punished severely for the corruption of their children, G-d forbid. And even if one constantly teaches them Mussar, but they do not follow it, one's sorrow and shame in the World-to-Come will be great. As it is written (Vayikra 21:9), "She defiles her father" - [in such a case] the son of a righteous man is called "the son of a wicked man" (Sanhedrin 52a). Similarly in other matters, lashon hara and gossip. Their eating and drinking should always be preceded and followed by the appropriate blessings. They must be careful to say the blessings, Birkas Hamazon and Krias Shema with proper kavanah (intent). Most importantly, they must not wander outside the home and must obey and respect you and my mother and all their elders. They also need to observe all that is written in the Mussar books. Raise your own children as well correctly and sensitively, and pay their tutor well, for "Man's entire sustenance for the year is fixed for him from Rosh Hashanah...except TiShReY (Talmud, Shabbos, Rosh Chodesh and Yom Tov - Beitzah 16a). I have also left books for them. For Hashem's sake, guide them well and gently. Take care of their health and make sure that they always have enough to eat. First have them learn the entire Chumash, seeing to it that they know it almost by heart. The learning must be done without undue pressure, rather gently, because it is best absorbed when one is relaxed. Give them coins, etc., as a reward. Always focus your attention on these matters and not on others, because all else is trivial. For man can salvage nothing from his labor to take with him (see Koheles 5:14), except two white garments (shrouds). Also (Tehillim 49), "A man will not redeem his brother...Fear not when a man grows rich...For when he dies, he shall carry nothing away...." Don't say, "I will leave a portion for my children" - who will tell you in the grave? The children of man are like grasses of the field, some blossom and some fade (Eruvin 54a). Everyone is born under his constellation and Divine Providence. They are glad when he dies and he goes into the nether world. [At his death] Resh Lakish left his children a kav of saffron, and he applied to himself the verse (Tehillim 49:11), "...and they leave their wealth to others" (Gittin 47a). Woe to all who plan on leaving [wealth] to their children! The only reward from sons and daughters is through their Torah and good deeds. Their sustenance is fixed for them. It is also known that women earn merit by making their children learn Torah, etc. (Berachos 17a). And our Sages said (Tanna D'Vei Eliyahu Rabba 9): "The only proper wife is one that does her husband's will." Of course, I am writing you words of the Living G-d. Therefore, I am certain that you will follow all that I have written. Nevertheless, I wish to strongly advise you not to deviate from anything that I have written. Read this letter every week, especially on Shabbos before and during the meal, in order to prevent idle talk and, even worse, lashon hara and the like, G-d forbid. I reiterate my request that you guide your sons and daughters with words of kindness and Mussar that will find a place in their heart. This is true especially if we merit to arrive in Eretz Yisrael, because one must be extra cautious to follow Hashem's ways there. Therefore, train them well, since one must work hard on one's speech and character traits, and only through good habits can we control ourselves (Shaarey Teshuvah). All beginnings are hard (Mechilta Yisro). But afterwards, one is worthy of praise (Mishlei 20:14). For the wicked person knows that he is taking the wrong path, but it is hard for him to change. But this is man's main task, not to go after his desires, but (Tehillim 32:9) "to restrain himself with a bit and bridle when he is being groomed." Man must deprive himself until he dies, not by fasting or asceticism, but by controlling his mouth and desires. This is teshuvah. And this is the whole reward of the World-to-Come, as it is written (Mishlei 6:23): "For the commandment is a lamp and the Torah is a light" - but "the way to life is the rebuke that disciplines." And that is worth more than any amount of fasting and self-affliction! For every second that man controls his tongue, he merits some of the "hidden [by Hashem for the righteous] light," something which no angel or [other] creature can imagine (Midrash). And it is stated (Tehillim 34:13,14): "Who is the man who desires life, and loves days that he may see good? Guard your tongue from evil, and your lips from speaking deceitfully." This will atone for any sin and save one from Gehinnom, as we find (Mishlei 21:23): "He who guards his mouth [from too much eating and drinking] and tongue [from idle words] guards himself from trouble." Also (ib. 18:21): "Death and life are in the power of the tongue." Woe to one who gives away his life for one word! Then what advantage is there to one who has a tongue (see Koheles 10:11)? And, "Everything has a cure except, etc." It is most important to refrain from speaking words of praise about anyone. How much more so does this apply to speaking ill of anyone! Why must one speak about others? "The mouth that speaks strangely is a deep pit; he who angers Hashem falls into it" (Mishlei 22:14). Concerning solitude, the main thing is to remain at home. Even your visit to the synagogue should be very short. In fact, it is better to pray at home, for it is impossible to be spared from jealousy or from hearing idle talk or lashon hara in the synagogue. And one receives punishment for this, as we find (Shabbos 33a), "Also one who hears and is silent...." This is even the more so on Shabbos and Yom Tov when they gather to talk - It is then better that you don't pray at all. Refrain also from going to the cemetery (especially women), as it leads to all kinds of sorrow and sin. It is also advisable that your daughter not go to the synagogue, because she'll see beautiful clothes there, become jealous and talk about it at home. This will lead to lashon hara, etc. She should rather cling to Mussar and not become jealous of anything in this world, where everything is vanity and illusions, appearing and disappearing overnight (Yonah 4:10). "Though he grows as high as the sky, his head reaching the clouds, he perishes forever..." (Iyov 20:6,7). "For property does not last forever, or a crown for all generations" (Mishlei 27:24). And even while it exists it is worthless, loathsome and disdained by any sensible person. Woe to him who is impressed by it. Envy only the fear of Hashem (ib. 23:17). She should not say, "How can I earn a share in the World-to-Come? - I can't do it!" For we have learned (Berachos 17a): "One may do much or one may do little, provided he directs his heart to heaven." For the sake of Hashem, give a fifth of all earnings to charity. Do not give less, as I have already warned you, because that causes the transgression of several positive and negative mitzvahs every minute! It also implies a rejection of the Holy Torah, G-d forbid. But the main way to merit Olam Haba is by guarding one's tongue. That is worth more than all the Torah and good deeds. This is the meaning of (Isaiah 32:9) "tranquil women" (Berachos 17a), because the mouth is the holiest of the holy. Among my books is a copy of Mishlei with Yiddish translation. For the sake of Hashem, have them read it daily. It is better than any Mussar book. They should also read Koheles a lot, because it points out the vanity of this world, and other books as well. But G-d forbid that reading should be the objective! Reading Mussar alone does not necessarily move one to act differently. Going out into the world without a good understanding of it defeats the whole purpose. It is like one sows without having plowed; the wind and birds will carry the seeds away, because they aren't closed off and protected. So is he who merely reads Mussar like him who plants without a fence; pigs will eat and trample on everything. Some plant on stone. This is comparable to a heart of stone which cannot be penetrated unless it is struck until it breaks open. That's why I wrote you to hit our children if they don't obey you. "Train a lad in the way he ought to go" (Mishlei 22:6). This is an important principle of education. I also wish to appeal to my son-in-law to adhere to all the above. Read to the children as I have stated and learn for the sake of Heaven. Become well-versed in it for Hashem's sake. Don't pay attention to those who say that it is unnecessary for the child, G-d forbid. To the contrary, "Train a lad, etc." It is easier to remove the skin of a nut before it hardens into a shell. Most importantly, it is through such study that one merits everything, as our Sages stated (Avos 6:1): "Rabbi Meir said, 'Whoever studies Torah for its own sake merits many things; furthermore, the whole world is worthwhile for his sake alone.'" You should study Tractate Avos, especially Avos D'Rabbi Noson, and Tractate Derech Eretz, since Derech Eretz (good manners) are more important than Torah study. Honor both your mother-in-law and your children's great grandmother. Also always treat everyone with politeness and respect..
My Dear Mother, I know that you don't need my advice, because you are very modest. 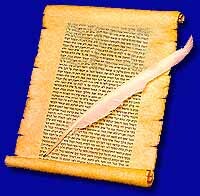 Nevertheless, I wish someone would read this letter to you, for it consists of words of the Living G-d. I beg of you not to grieve over me, as you promised me, and G-d willing, if I merit to arrive at the gate of heaven in the holy city of Jerusalem, I will pray for you as I promised. And if we deserve it, we shall all be reunited, please G-d. I also ask my wife to honor my mother, as the Torah dictates, especially since she is a widow to whom it is a grave sin to cause even the slightest pain. I also ask you, Mother, to please cause peace to reign between you, and that you should strive to bring happiness one to the other. This is a great mitzvah incumbent upon everyone, as we find (Reishis Chochmah): "When man is judged, he will be asked,''Did you make your fellow a king over you?'' We see that one must gladly enhance his friend's honor. In fact, the main goal of the Torah is to bring joy to man. Even if one of you should happen to act improperly, excuse each other and live in peace for Hashem's name. I also ask of you, Mother, to supervise and guide my children with gentle words, so that they will accept them. I instruct my sons and daughters to honor her, and not to fight among themselves at all, but to settle everything peacefully. May the Master of Peace grant you, my sons, daughters, sons-in-law, brother and all Israel life and peace. Copyright (c) 1995 by Pirchei Shoshanim. This translation is part of the Pirchei Shoshanim network of learning materials. Permission to redistribute electronically or in any other manner may be done so on an individual basis only. Any other manner must first receive the express permission of Pirchei Shoshanim.